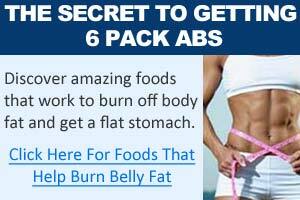 Beer Bellies - How to Lose Beer Belly Fat Fast! Does drinking beer and alcohol go straight to the gut and give you that dreaded fat beer belly? Good question. The saying goes that if you drink beer, and lots of it, you'll end have having a beer belly - a lovely round gut that hangs in front of your stomach. Not a pretty picture. However, many recent research shows that there is no connection between beer consumption and having a beer belly. It's easy to find something (in this case beer and alcohol) to blame for your weight problems. While drinking beer and alcohol increases your calorie consumption, it is your diet that causes weight gain. Whether drinking beer really leads to having a fat beer belly is controversial. There are both studies which find drinking beer leads to having a beer gut, and there are studies that find no connection between drinking beer and having beer bellies. The main cause of obesity is having an energy imbalance, where you consume more calories than you burn. When you have an excess of calories in your diet, you will gain fat. When it comes to gaining fat and losing fat, your diet is still the primary determinant on whether you lose fat or gain fat. While some studies have found that there is no apparent connection between beer consumption and having a beer gut, drinking beer and alcohol can contribute to gaining fat and increasing belly fat. In a study done by the German Institute of Human Nutrition, cases of over 20,000 men and women were analyzed for beer consumption, and a 8.5 year waist circumference change was assessed. The relationship between change in beer consumption and change in waist circumference was studied. Their study found a positive association of beer consumption and waist size in men, but not in women. Each gram of alcohol contains 7.1 calories, which is second only to fat in calorie density per gram - protein and carbohydrates each contain 4 calories per gram. An average beer has around 130 to 150 calories. Drink five of these, and you're already up at 750 calories. If you drank one beer a day, that would be an extra 1050 calories that you consume each week. It can quickly add up. Weight loss and weight gain is dictated by one simple factor - calorie surplus or calorie deficit. If you are consuming more calories than you burn, there is only one place for the extra calories to go - stored as body fat as a long term energy source. By drinking beer and alcohol, you directly add more calories to your diet, and increase your calorie intake, which contributes to weight gain. Alcohol consumption on waist size in French men and women was analyzed in another study. 3500 French men and women were randomly selected, and alcohol consumption was assessed with a quantitative frequency questionnaire. Their results found that weekly alcohol consumption ranged from 0 to 1655ml, and wine was the main source of alcohol, representing 67% of total alcohol consumed. They found that total alcohol consumption was positively associated with waist-to-hip ratio and waist girth independent of BMI for both men and women. They concluded that alcohol consumption is associated with greater waist to hip ratio independent of BMI. The moral of this study is that the more alcohol you consume, the larger your waist will be. As mentioned above, each gram of alcohol has about 7 calories. So one of the first things you need to do is limit your alcohol consumption, and this will help reduce your overall calorie intake. Weight gain and loss is dictated by whether you have a calorie surplus or deficit. To lose weight and fat, your diet needs to create a calorie deficit. 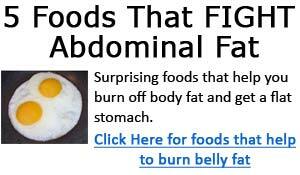 See here for more on dieting to lose tummy fat. One of the most effective, yet overlooked methods for losing fat is to simply build muscle. By adding lean muscle mass, you effectively increase your body's energy expenditure and burn more calories naturally. Not only does increasing muscle mass burn more fat, but the process (the workout) with which you use to build muscle (weight lifting) also works as an excellent method to burn extra calories and studies have found that performing intense weight lifting sessions work to stimulate energy expenditure and lipid oxidation for prolonged periods even after your workout is completed. With intense physical exercise, your energy expenditure at resting pace also increases - meaning that you naturally burn more calories even at rest simply by performing intense exercises. See here for more on exercises to get rid of belly fat. Finally, cardio training - another essential to any successful weight loss program. Like weight lifting, the benefits are twofold: 1) you burn extra calories during the cardio training, and 2) with high intensity cardio training, your metabolism is elevated for hours after you've completed your training. As mentioned above, intense training sessions works best to increase your metabolism. While doing slow or moderate cardio for long periods burn more calories during the cardio session, it does little to increase your energy expenditure after you're done. However, high intensity cardio session may burn less calories because the training sessions are shorter, but they work to increase your metabolism for hours even after you've finished. More on cardio training to reduce stomach fat here. 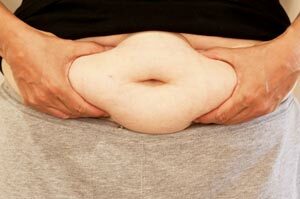 Beer consumption and the 'beer belly': scientific basis or common belief? Schütze M, Schulz M, Steffen A, Bergmann MM, Kroke A, Lissner L, Boeing H.
Department of Epidemiology, German Institute of Human Nutrition Potsdam-Rehbruecke, Nuthetal, Germany. 2. Int J Obes Relat Metab Disord. 1998 Dec;22(12):1178-83. Influence of alcohol consumption and various beverages on waist girth and waist-to-hip ratio in a sample of French men and women. Dallongeville J, Marécaux N, Ducimetière P, Ferrières J, Arveiler D, Bingham A, Ruidavets JB, Simon C, Amouyel P.
INSERM CJF 95-05, Département d'Athérosclérose, Institut Pasteur de Lille, France. 3. Am J Clin Nutr. 1985 Jul;42(1):69-82. Energy metabolism during the postexercise recovery in man.